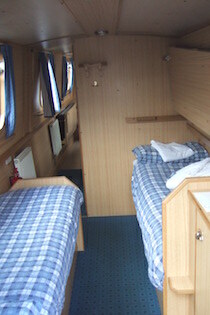 The S-May class canal boats. 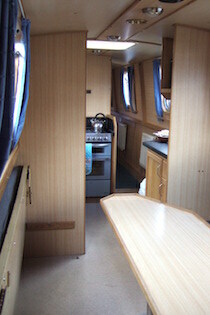 Saloon with sofa which converts to a double or 2 singles and removable table , in the middle of the boat. Radio/CD player; colour TV/DVD player. 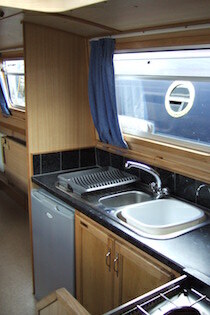 There are 2 bathrooms with a wash hand basin, electrically operated flush toilet and shower and a 240v shaver socket.